Move forward with confidence, and reduce your maintenance costs with the new Macurco Single-Gas Series. An innovative family of portable single-gas monitors that are user-friendly and affordable. Audible, visual, and vibrating alarms give you the notice you need to appropriately respond to the presence of targeted gases. With the push of a button, gas and peak readings, and alarm set points instantly appear in the display. Engineered to go anywhere, it can be easily clipped to your pocket, belt or hardhat. 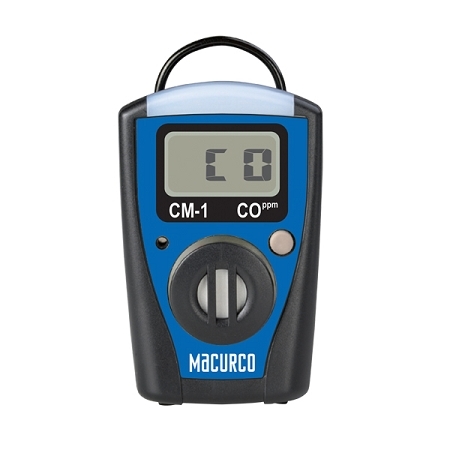 With a low maintenance and compact size, the Macurco Portable Single-Gas Monitor helps you detect potentially hazardous levels of CO gas. It provides you with reliable, continuous 2-year performance at an affordable price. Test Function: Self-test on circuitry, battery and alarms. 125 TruReward$ points will be placed in your account when you buy this item.